This handy little item is useful for storing bindings that can otherwise wind up in a tangled mess. The inexpensive winder is designed to replace that flimsy toilet paper roll you currently use. 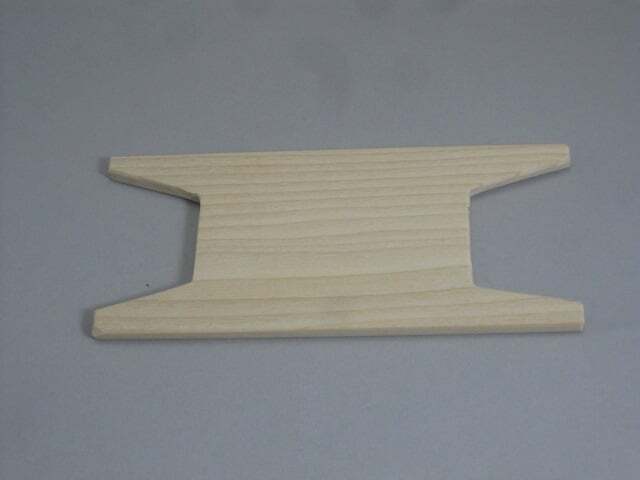 Our binding winder is made from hardwood, approx. 6″ long by 3″ wide, with 1 ¼” cutouts on both ends. This accommodates a standard 2 ½” cut binding. Special order winders are available for wider bindings. The wood surfaces are sanded smooth and unfinished so as not to leave any residue on your fabric.